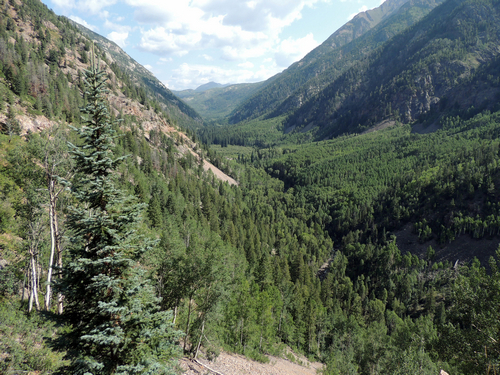 The Lime Creek Road lies on the edge of old Ute land, running along Lime Creek from the Upper Animas River Basin to the Bear Creek/Silverton area. 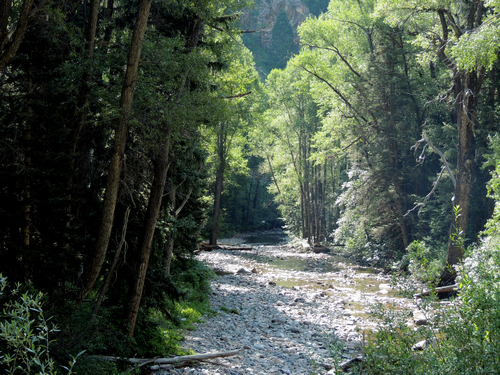 It was first used as a hunting trail by the Utes. Captain Charles Baker was one of the earliest recorded prospectors to use the trail in 1860, prior to the mineral prospecting rush of that decade. The trail was converted into a formal road in the late 1880s. It was used heavily by prospectors carrying gold and silver, and pioneers to access Silverton’s extremely profitable mining country. More improvements were made during the 1930s. Notice the careful stone work along the roadside done by the Civilian Conservation Corps. The road is not difficult, but has not been maintained for a long time so it is rocky and bumpy. Most of the old highway is high above Lime Creek, but the center section drops down to creek level for a short distance. 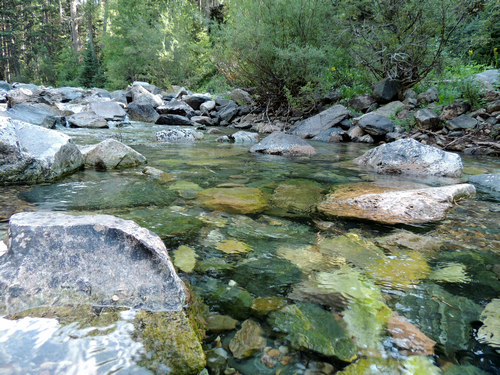 The creek is heavily treed, and the water is clear. 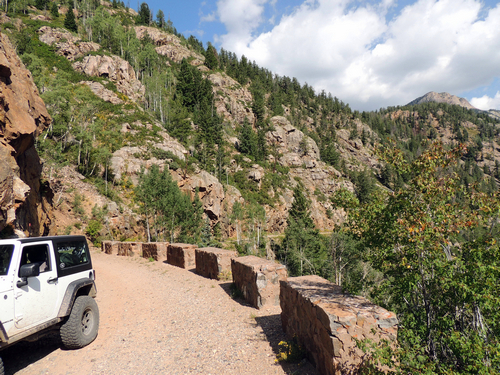 The southernmost point on the Jeep trail is an open shelf road high above the creek. Nice view looking north up the creek. 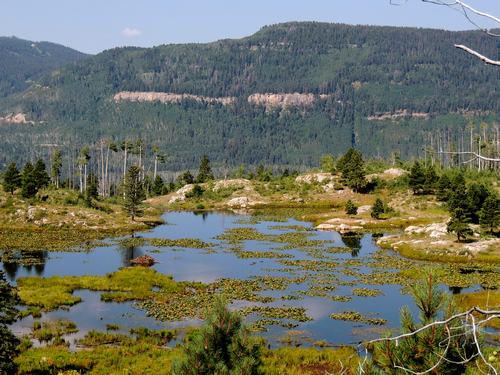 The southwest portion of the trail passes a lake with beaver lodges and many lily pads. We like to run this in conjunction with Bolam Pass.